Interested in our other Cyber Security services? 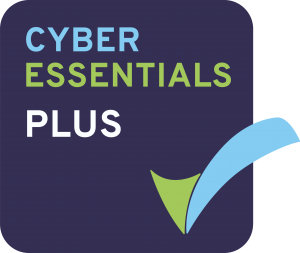 Protect your organisation from common cyber security threats by achieving the Cyber Essentials and Cyber Essentials Plus accreditation. CYFOR is an accredited Cyber Essentials Certification Body. To set out the five basic cyber security controls that organisations should implement to protect themselves from “around 80% of common cyber attacks”. To provide a simple and affordable mechanism through the Assurance Framework’s two levels of independent certification, for organisations to demonstrate that they have implemented essential cyber security measures. Cyber Essentials is an independently verified self-assessment. You complete an online assessment questionnaire which is then approved by a cyber security expert. Upon submission, CYFOR will independently review and verify your responses. If successful, we will award you with the relevant certificate and badge to display on your company website. In addition to providing Cyber Essentials, CYFOR offer the Cyber Essentials Plus certification. This certification stage offers a more thorough, in-person analysis and certification process, involving both independent internal and external scans of your network and computers to test your security. You must already have the basic Cyber Essentials certification before you can achieve Cyber Essential Plus. Successful accreditation provides a higher level of assurance that your organisation has a strong cyber security posture with correctly implemented controls to defend against cyber-attacks. The government’s Cyber Security Breaches Survey 2018 found that 56% of businesses hold personal data electronically. Of these, 47% experienced breaches or attacks in the last 12 months. Implementing the Cyber Essentials controls is recognised by the ICO (Information Commissioner’s Office) as one of many ways of demonstrating that organisations are taking action to mitigate the risks they face, especially if those risks are of a low level. Mitigating common and preventable cyber threats. Improve overall defences to more advanced cyber-threats. Expanding business opportunities by tendering for contracts requiring Cyber Essentials certified suppliers. Differentiating your business from competitors, providing you with enhanced cyber security. A Cyber Essentials badge helps win and maintain contracts. Certification demonstrates to business partners, regulators and suppliers that you take cyber security seriously.